Revolution Slider Error: Slider with alias Minemap not found. MineMap Pty Ltd was founded in 1976 and provides mining and exploration companies worldwide with cutting-edge modelling and design solutions. MineMap has a reputation as an innovator in delivering leading tools at affordable prices. MineMap provides 24/7 basic online training attractive rates through its global training and support network. Advanced Resource Estimation and reporting using block models and wire-framing. Surface and underground mine planning. Surface and underground production management including survey. Ability to automate production activities via macros. Live plan and section plotting with dynamically updating files. Resource estimation is performed using a comprehensive range of modelling tools including: 3D block modelling; interpolation methods from 2D polygonal and IDW to Multiple Indicator Kriging; producing grade/tonnage curves for reserve estimation. Modelling of Laminar and Stratified resources. 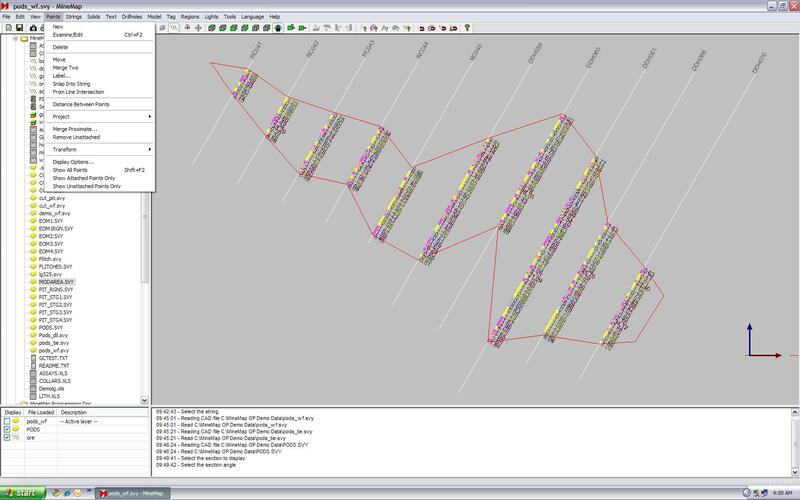 Lerchs-Grossman pit optimisation enabling companies to undertake multiple, bankable feasibility studies including multiple slope regions and multi-element rock types. Blast hole and Underground Ring Design. Underground stope design and optimisation. Implementing technology that will allow access to various IMS functions via Smartphones, the Cloud, Tablets and Web based interfaces. 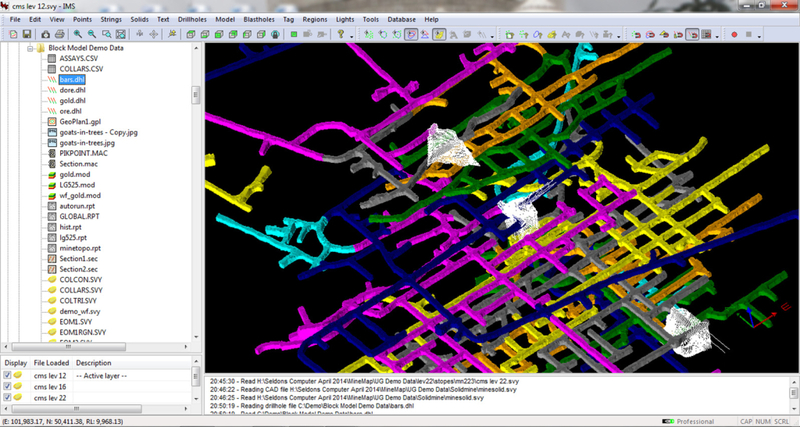 Updating its GIS interface and access to third party platforms. Updating its Scheduler ensuring that it will allow the user to schedule and report on mine production based on tasks defined from the 3D mining blocks, resources, calendars, and extraction rates.